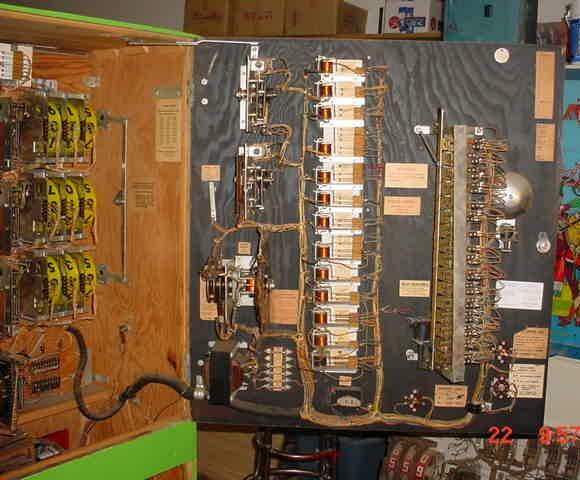 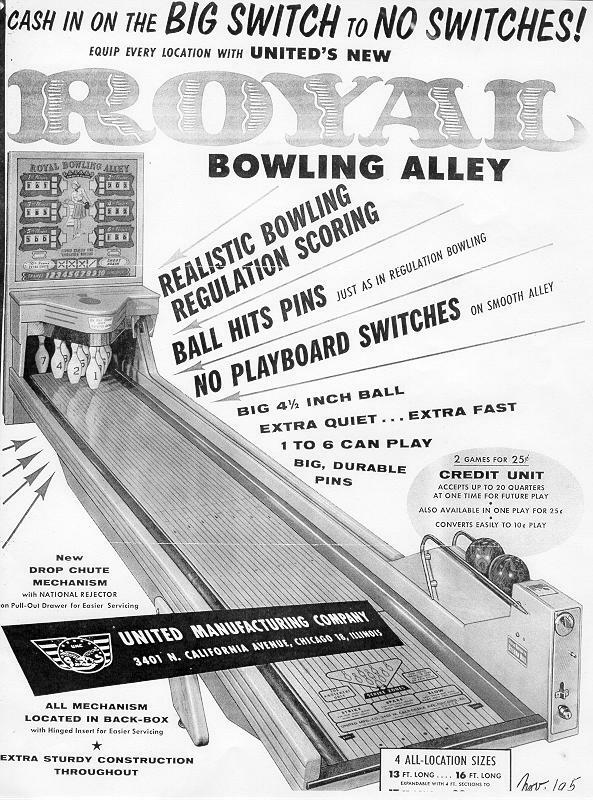 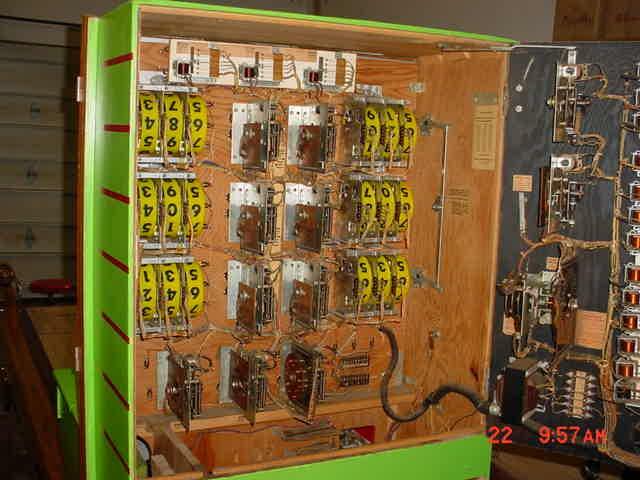 Description: Royal Bowling Alley, United, 11/57, first United ball bowler with 4.5" balls, 13 or 16 foot lengths (a 4 foot section could be added between sections of the 13 or 16 foot base game yielding 17 or 20 feet), no lane switches (contact bowler where the ball hits pins and uses overhead pin feedback switches which energize a pin relay which quickly retracts the pin). 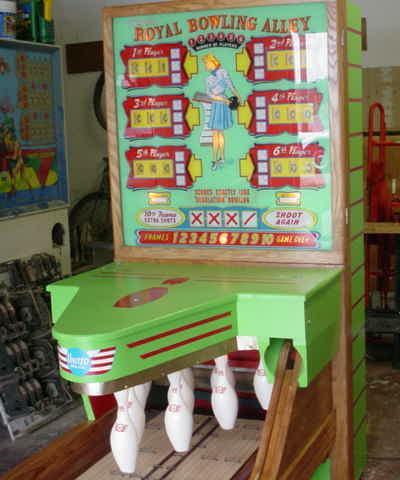 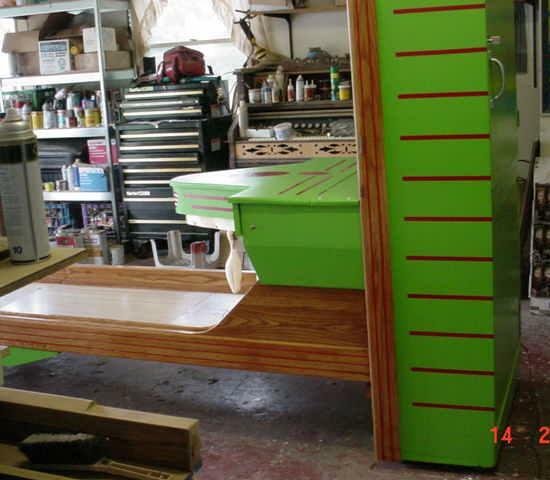 First United ball bowler with gutters (earlier games had no gutters, so the ball can bounce from side to side). 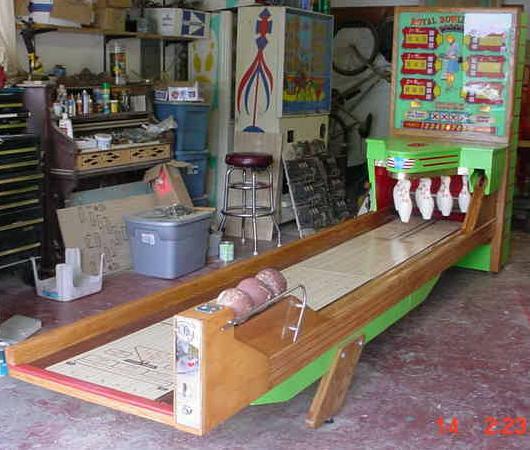 Having gutters of course makes the game more realistic and challenging for adults. 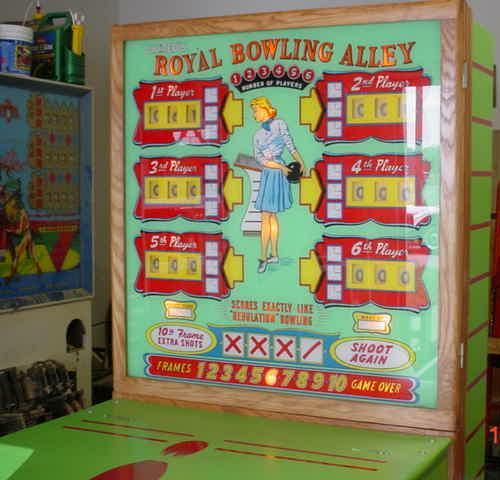 Same exact game as Jumbo except Royal is a Contact bowler and Jumbo has lane switches (backglasses are interchangable in a pinch too).